Fourth-generation chocolatier Olivia Francis delivers the sad news that her favourite treat is no longer available. The woman is genuinely crestfallen. Francis looks as though she may offer a hug as consolation, but instead suggests a number of other cacao-laced morsels from more than 100 lines. They leave with a small bag of substitutes and perhaps a new favourite. 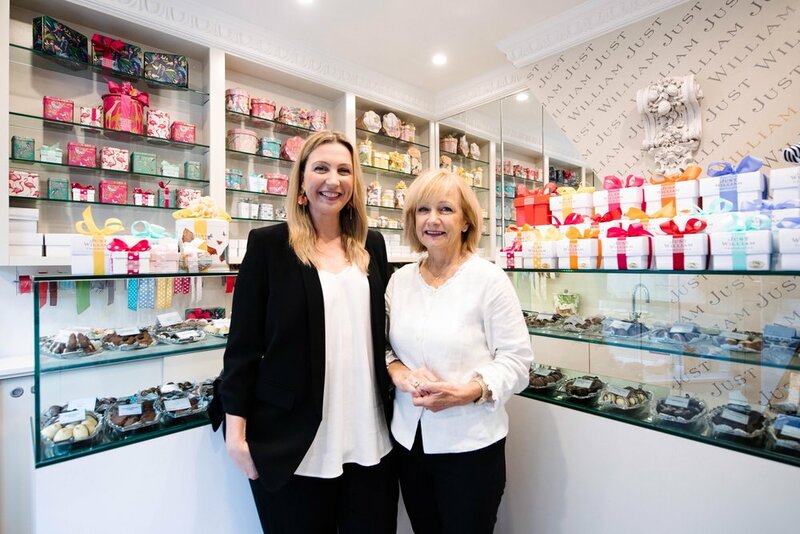 The boutique came about after Suzanne fell in love with third-generation chocolatier, Rod Francis, whose family had already been commercially producing chocolate on a small scale for two generations. Knowing Suzanne’s father had a soft spot for rocky road, Rod would bring a one-kilogram bag of the family’s special recipe each time he came to visit Suzanne. Eventually the rocky road smoothed the way to marriage and Suzanne’s contribution to the chocolate empire, Just William Chocolates. “I wanted to go to the other extreme and do something bespoke [not commercial],” she says, citing hard work and a lovely product as essential for the store’s longevity. Both Olivia and her mother have shining eyes and a magnanimous energy, as if working with something that brings unadulterated delight is intrinsic to happiness. “Straight away people’s eyes light up and they start giggling. It’s a joy,” agrees Olivia. Suzanne concedes Just William doesn’t see many unhappy people, but much like a good bartender, a chocolatier’s job is to anticipate the needs of their customer and administer the right salve to aching souls when required. “You get to know your regulars and if someone has had a bad week, we try to lift them up,” says Olivia. Soon Easter will descend on Just William and the little shop will be a flurry as staff frantically festoon boxes with ribbons and frangipanis. But for now, all is calm. Until the orange-button woman returns: “Do you have the chocolate-coated snakes?” she asks with more than a hint of desperation. A big smile spreads across Olivia’s face: “We do!” And both parties are visibly relieved a treasured memory could be revived.